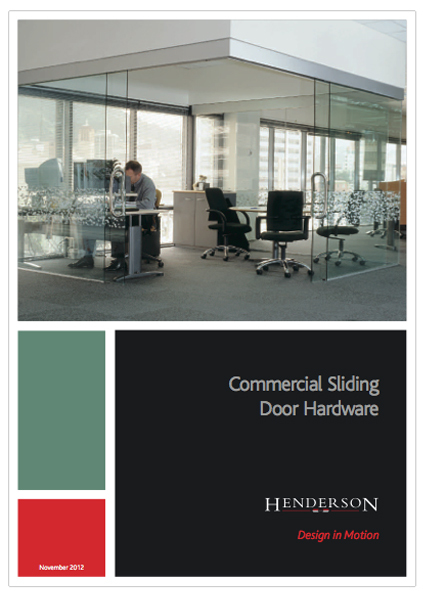 The models in the Henderson commercial range are suitable for doors weighing up to 500kg. They are ideal for applications such as shop fronts, hotels, conference centres and offices, where smooth action, high performance and aesthetics are important. You can choose from timber, aluminium and glass door options*, with straight sliding, folding and multidirectional stacking systems. Flexirol multidirectional systems can accommodate 90º and 135º movement. Aluminium track can be painted on site to match interior colours and ceilings. Pacer track has the option of clip-on aluminium fascia.